/ Attorneys / Charles E. Soechting, Jr.
CHARLES E. SOECHTING, JR. is a senior associate and trial lawyer with Simon Greenstone Panatier, P.C. In his role as the head of the catastrophic injury department Mr. Soechting focuses on serious personal injury and wrongful death cases. He has first-chaired many injury and death trials in multiple states including Iowa, New York, Pennsylvania and Texas, both in state and federal courts. In addition to the matters that have gone to trial, Charles has personally handled hundreds of cases of injury and death in more than thirteen states leading to significant resolutions for his clients. 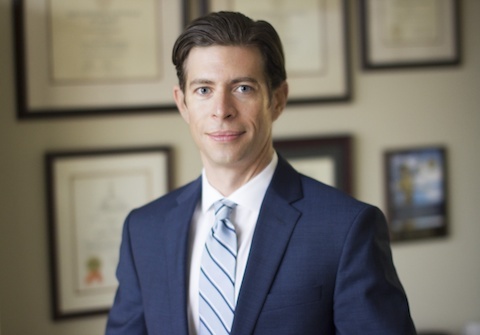 Mr. Soechting is actively licensed in both Texas and Pennsylvania, and has been admitted to practice Pro Hac Vice in fifteen states. Charles has substantial experience in cases involving commercial trucking wrecks, premises and product liability claims and general negligence litigation. In the beginning of his career he focused on wrongful death matters caused by exposure to asbestos fibers. These cases were typically filed against some of the largest corporations in the world who had little concern for those that were hurt by their asbestos products. Battling against these corporations helped Charles to understand first hand the inequities our justice system is supposed to balance. Prior to joining Simon Greenstone Panatier, P.C., Mr. Soechting opened his own law firm to focus on helping those in his community. He handled serious personal injury and death cases as well as Civil Rights and Constitutional Rights Violation matters. Charles fought to ensure everyone’s voices are equal and related to some of this work Charles has appeared in newspapers around the country as well as on CNN, ABC, NBC and Fox. 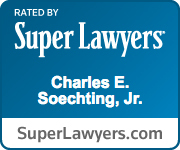 Moreover, from 2010 to the present, Charles has consistently been nominated by his peers and recognized for his trial skills by Texas Super Lawyers earning the honor of a Texas Rising Star. When he is not fighting for his clients’ rights, Charles spends his time with his wife Lindsay and children, Emory and Charles III. He also focuses his energy on fitness, competing in endurance events such as international long course triathlons and is currently training for the 2018 Leadville 100 mile mountain bike race in Leadville, Colorado. South Texas College of Law, Houston, Texas, 2005, J.D. Description: Valent Rabovsky contracted and died from mesothelioma as a result of his exposures to asbestos, including from products sold by Crane Co. Plaintiffs proved Crane Co. knew asbestos was deadly for decades yet never warned Mr. Rabovsky of the dangers or took any precautions to protect him or others like him. The Jury found Crane Co. was responsible for contributing to cause Mr. Rabovsky’s death, and awarded compensatory damages. The opportunity to fight for those that feel they cannot fight for themselves is an incredible responsibility, and is one that guides me everyday in my practice.